Summary: Don't look at Them. Never let Them know you can see Them. My take: I’m absolutely thrilled with this book! After reading the Iron Fey series and following along with Meghan’s and Ash’s stories, we are left wondering, “Whatever happened to Meghan’s sweet little brother, Ethan, who has the sight to see the fey?” I always felt really horrible for that poor, sweet little kid; he will never be able to forget the traumatizing things he experienced when he was such a young kid. From the very first page of The Lost Prince, I was immediately sucked back into Julie Kagawa’s world of the fey. Best part is, Ethan’s now all grown up! And poor Ethan is now forced to face the things he has learned to hate, as he is sent on an amazing journey. I’ll have to admit that I was a little worried that Ethan (and I along with him) was going to have to suffer one of those seemingly endless walks or journeys the characters in Julie’s books usually have to endure. But, luckily, in this book Ethan was given a lot of shortcuts. Another thing I loved about The Lost Prince is that we get to learn little bits and pieces about what happened to Ethan…from the day Meghan is made the Iron Queen, until the present. And, after learning about these pieces, I grew really attached to Ethan’s character. I not only grew more attached to Ethan in this book, but I quickly grew attached to a few of the new characters Julie introduced. Kenzie is my fave, in fact I think she's my fave character in all of Julie's fey books. I grew strong feelings and an attachment this fey boy named Keirran as well. Best of all, there are some small appearances by characters from the Iron Fey books that we’ve grown to love, like: Meghan, Ash, Puck, and even the annoying cait sith Grimalkin. This book is just like all of Julie’s other books. She has an amazing imagination and she always includes a fun, intense journey in her stories. The best part is, this book could be enjoyed as a standalone novel but I'm even more excited that it's a whole new series. I can't wait to read this one. I should be reading it really soon! 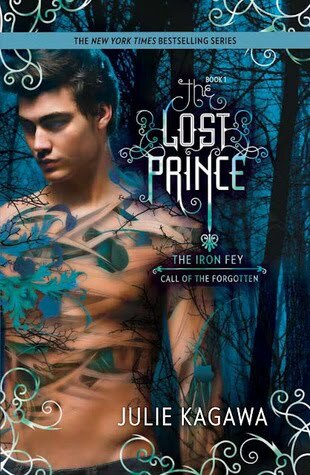 I love the Iron Fey series and I can't wait to read about Ethan all grown up. YAY! I'm so excited to read this one! I'm happy to hear that the journey bits are cut short because sometimes I grow weary of them. And I'm so excited to learn more about Ethan! Great review! I'm happy to hear you enjoyed this book! I'm really excited to read it and get to know Ethan more. 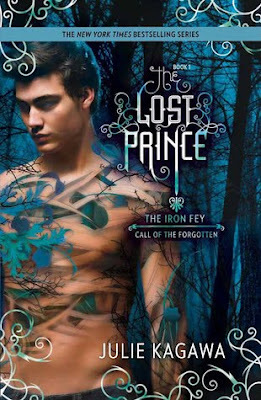 I definitely plan on having an Iron Fey marathon one day soon. I love Julie's writing too!